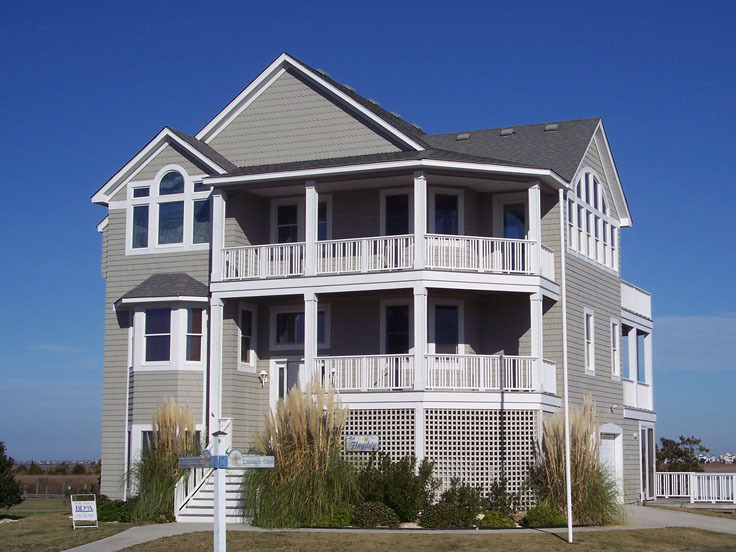 Coastal home plans are often built on piers or pilings raising the main living areas above the ground by one level and positioning the parking area below the home. This arrangement accommodates rising tides or flood waters and prevents flooding inside the home. The water is able to flow underneath the home without any risk to the structure or damage to the personal belongings and furnishings inside it. Coastal house plans often enjoy an open floor plan with the living areas coming together as one. This allows gentle breezes circulate and flow throughout the home. Floor plans of coastal homes generally incorporate large windows which are strategically placed to maximize the beach our shoreline view. One or more large decks and/or porches deliver outdoor living spaces further enhancing the livability of coastal homes. They provide another opportunity to enjoy the view of the surrounding landscape and waterscape while delivering a relaxing place to entertain guests, dine outdoors and soak up the sights and sounds of nature. Coastal house plans often incorporate specialized materials, construction practices and design elements necessary to meet local building codes and specifications related to regional climates, geographic factors and/or marine environments. Take some time to browse or collection of coastal home plans. For more possibilities, check out our waterfront homes, too!